Post offices in Canada are numerous, accessible, and easy to find. As well as having their own offices throughout the cities, neighborhoods and towns, it is common to find a post office counter in most large supermarkets and often in larger convenience stores. 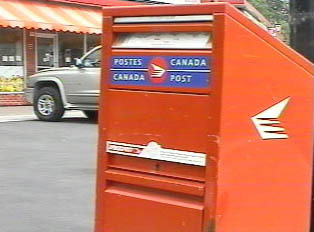 Postal services in Canada include the sale of stamps, handling of all mail and packages, and the sale of money orders. When mailing a letter outside of the post office, simply look for the standard red mailbox on most street corners. "Buying Stamps for the United States"